And of course donations are always welcome to cover the cost of lawn signs and other campaign materials. UNREAL ESTATE: a conversation exploring who benefits from upzonings and inclusionary housing policies in Victoria, BC. Background: On April 11, 2019 Victoria City Council will decide what percent of new residential housing will be required to be affordable by people with low to moderate incomes. This policy is called inclusionary housing. ACCESSIBILITY: The building is accessible. It is a single story facility with automatic building doors, easy open door buttons on bathrooms and wider bathroom stalls. Please register and consider making a donation to help cover event costs (about $800). We have a limited number of seats available, so please help us by pre-registering. ABSOLUTELY NO-ONE TURNED AWAY FOR LACK OF FUNDS. NOPE. NEVER. NOT GONNA HAPPEN. Save the Sooke Hills Phone Blitz this Wednesday! Join us on April 3 for a coordinated phone blitz to the Premier, senior bureaucrats and MLAs with a strong message: no new or expanded roadways through the Sooke Hills Wilderness Park or any contiguous CRD protected lands that act as critical wildlife habitats and buffer zones for our regional water supply. As you may know, the provincial government is considering punching a roadway through the Sooke Hills Wilderness Regional Park, potentially through the Niagara creek watershed. The proposed route would have it destroy the recently opened Wilderness Trail, and have a deleterious impact upon Niagara Falls (an important tourist destination) and Goldstream Provincial Park. Within the Regional Park, there are rare Douglas Fir old growth, some over eight feet in diameter! The area also acts as a critical wildlife habitat for elk, deer, cougars, bears and wolves. The government is using traffic safety on the Malahat as a pretext to open up these forests to 'development' sprawl. The province remains 'tight-lipped' about their plans and studies - there are other proposed routes through the forests that would be even more destructive yet have not been made public. This lack of transparency in itself is cause for concern given the impact a final decision will have on local ecosystems, traffic congestion and safety, neighbourhoods, prices of homes etc. 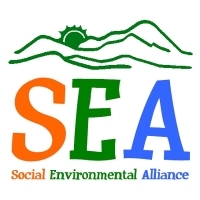 The movement to save the Sooke Hills (and beyond!) grows every day! The CRD Board of Directors recently voted unanimously to oppose any new or expanded roadway through environmentally-sensitive protected areas. Hundreds of citizens have already spoken out against these proposed plans. But many provincial politicians and senior bureaucrats still are not aligned with public opposition, so this month, we'll target some of them, raise our voices in solidarity and send them a message they can’t ignore. Invite your friends, family and everyone you know who cares about protecting the wilderness to join us – we need your help to build this local grassroots opposition. Then, anytime on Wednesday, we phone and/or email the targets and demand they side with the CRD, ENGOs, grassroots groups and the public who are calling for a stop to these ridiculous roadway plans. The demand is simple: no new or enhanced roadways through any part of the Sooke Hills, whether it is the regional park itself, any of the adjoining CRD-protected land, points further north and westward in the Juan De Fuca electoral district, all critical wildlife habitats and/or buffer zones for our regional water supply. Your voice has the power to save the Sooke Hills and beyond, and this is an action you can join from anywhere. If no one answers, leave a voice mail message. If you cannot participate on Wednesday, call on Thursday or any day you can. The proposed roadway would also cross over a dozen creeks that spill straight into the Saanich Inlet, impacting Niagara and Goldstream Rivers which are critical salmon habitats. There are legitimate concerns that traffic congestion due to car crashes on the Malahat is being used as a pretext to open up local wilderness areas for alternate routes, a slippery slope for future cul de sacs and exurbs. The provincial government needs to focus instead on improving safety on the Malahat by enhancing traffic speed enforcement. A simple solution to rigorously enforce speed limits with an active, ongoing police presence is a far more economical and effective option for the Malahat. We do not see this happening, so it seems the provincial government is playing Russian roulette with the lives of drivers on the Malahat for political gain. A hard fight to conserve this slice of paradise for so many outdoor enthusiasts, tourists and all our more-than-human friends has already been waged by an earlier generation of wilderness advocates who recognized the value of wildlife allowed to flourish of its own accord. Don't trash our legacy! These forests in question also act as extremely effective buffer zones for our pristine water supply, so much so that we are the envy of other regions worldwide who must spend millions of dollars treating and disinfecting their water. Why would we want to mess with that? The proposed highway skirts so close to these zones, it is extremely troubling. With a potentially dangerous increase in vehicular traffic through this area, we also run the risk of an increase in wildfires, which would also harm the water supply. In 2007, a report was commissioned by the provincial government to study alternative traffic options. Sound familiar? Well, this STANTEC report found numerous reasons why the Niagara Creek watershed is a no-go including destruction of environmentally sensitive areas, threats to rare and endangered species and disturbances to archaeological sites. Why is taxpayer money now being wasted on another study that would mirror the original findings? The other thing about all this is that there's already an alternate route! The Pacific Marine Route is not perfect, it takes a long time, but it is in fact, a viable alternate route. Just as we are similarly inclined to tolerate full or cancelled ferries as the price to pay for living on an island, can we not put up with a few extra hours to get home now and then? Instead of a highway, a thorough review of the Malahat's traffic and crash data is needed, to learn where and how the crashes are happening and to redouble our efforts to make the decent highway we already have much safer for all of us. The bottom line is that there are options: let's work together, employing solutions instead of just saying NO! Let's shift from desecrating more forest to developing a sensible and visionary transportation plan for the region - whatever that looks like - as this has not yet taken place on any public scale here on the south part of the island in recent memory. Together, we are stronger, and we can do this! Wet'suwet'en Food, Medicine & Supply Drive! With the arrival of spring and an influx of work to be done on Gidimt’en Territories, the time for a supply drive has arrived! 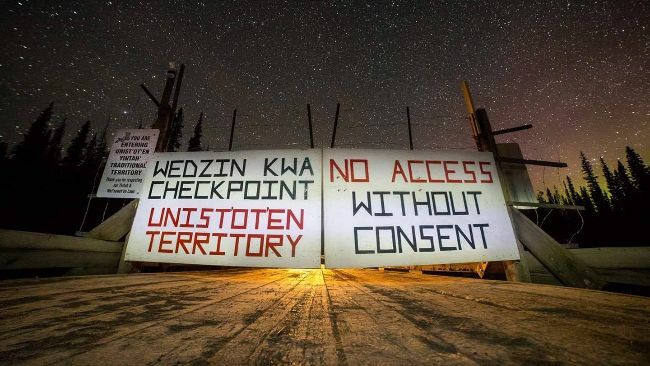 Coastal Gas Link and the RCMP continue to invade Wet’suwet’en lands and resources are needed to sustain this frontline work. On Lekwungen lands, or “Victoria”, we will be collecting food, medicine and supplies until April 6th to send up to the frontlines with supporters. Please consider donating material resources on this list to support the ongoing work of resisting colonialism. Please call Jae at 778 678 5526 with any questions or need for directions! Join us again for some fun and to help us carry on with some of the exciting transformations! There is a ton of work on our to do list, and with your support we can get it done and have a fun time while we're at it. We'll be at it from 6-10pm, and will have tasks to suit many interests and skill levels - pick up a paintbrush, screwdriver, hammer, or a coffee/pint, and help make this place smell, look, and sound better. We'll have a drink on the house for all those pitching in. We will be meeting upstairs at The Bent Mast at 7 PM Wednesday, April 3 to discuss the following articles. The Department of Anthropology will host its 5th Annual Currents in Anthropology Conference on Thursday, April 4, 2019 (the day before classes end). As in previous years, this conference will feature a special session for the Honours presentations and will be celebrating the research and academic excellence of our students. Podium and poster presentations will highlight the research activities of both our Undergraduate and Graduate Students. Our next general meeting will be held at the UVic Student Union Building in room B028, located in the basement, at 6:00, April 4th. Non-members welcome! Forest Cycle: Critical Mass Bike Ride, banner drops and demo in solidarity with province-wide BC Forest March! On Saturday April 6th, a Forest Cycle will be held on the unceded territories of the Lekwungen and W'SANEC peoples as part of a province-wide day of action to demand fundamental changes in the way that native forests on unceded Indigenous territories are treated! All over so-called BC, native forest ecosystems are being rapidly destroyed or managed unsustainably, with disastrous impacts on global climate, Indigenous Nations, ecological health, forest-dependent communities, water, salmon habitat, biodiversity, jobs and recreational opportunities. We will peacefully demonstrate and highlight these impacts on the main access point to the provincial capitol of Victoria. 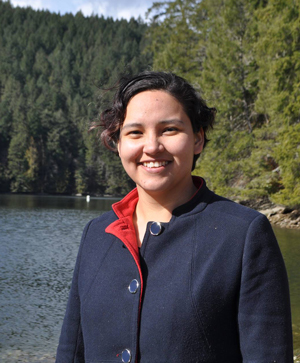 We wish to show solidarity with forest communities and Indigenous peoples all across BC, but a 10am-noon march (several of which are planned in communities across the province) is not an option for us as it would conflict with other previously-scheduled events in the south Island activism community. So we came up with a creative solution! *We will gather for a 8:30am Banner Drop + Noise Demo on the Uptown Pedestrian Overpass. After approximately 15 minutes, we will then ride bicycles (or rollerblades, longboards, or any other wheeled human-powered transportation) up the Galloping Goose Trail to the McKenzie Ave Pedestrian Overpass (approx 5-10 minutes) where we will hold another short banner drop and noise demo before riding back down the highway to wrap up on the Uptown Overpass by 9:30. For Folks unable to ride or without access to bikes have the option to meet at either overpass (8:20am for Uptown, 8:50am for McKenzie) for the banner drops and demos. Depending on numbers, a contingent could stay at the Uptown overpass while the rest of the group rides to McKenzie and back. This is a peaceful, family-friendly event and all forest-lovers are welcome to participate! Our aim is to demonstrate solidarity and highlight the emergency in forests across this province with a quick, snappy action that will set the stage for continued mobilization for justice in the forests this spring and summer! Many forest ecosystems and communities on are the brink, and the need for immediate government action could not be more urgent. We are calling for the protection of all remaining old-growth rainforest, immediate implementation of the UN Declaration on the Rights of Indigenous Peoples, a ban on raw log exports, and a Just Transition to sustainable forest economies. More information will be provided at the demonstration by local community organizations. This event is being organized on the unceded territories of the Lekwungen and W'SANEC peoples, and is endorsed by Friends of Carmanah-Walbran, Rise and Resist and the Wilderness Committee. n.b. Those who wish to rendez-vous dowtown and cycle Uptown together can meet on the east access to the Johnson Street Bridge at 8 am! Tickets are now on sale for #HungryHearts2019 at Delta Hotels by Marriott™ Victoria Ocean Pointe Resort. Saturday, April 6 is the date for Victoria's favorite culinary gala fundraiser. Go to https://www.ourplacesociety.com/events for tix and info. This event will sell out! Our monthly meeting will be held at the City Studio located at 711 Douglas, Sunday, April 7th, at 1:00 pm. All welcome! Don't hesitate to contact us with any questions. Help us kick off National Volunteer Week with this Vital Conversation! Seating is limited, so book your tickets today. - all youth aged 15-29 years. - family members and friends who want to be able to better support their loved ones. - people and organizations that work with youth volunteers. WHAT IS A VITAL CONVERSATION? A Vital Conversation is a community discussion aimed at fostering open dialogue about issues that matter to people in our region. Topics are connected to issues and trends identified in Victoria’s Vital Signs, our community’s annual check-up that measures the vitality of our region, identifies concerns, and supports action on issues that are critical to our quality of life. This Vital Conversation is being hosted by the Victoria Foundation in partnership with Coast Capital Savings. There is no charge for this event, but since space is limited, please notify us if your plans change and you are no longer able to attend. You have important information to deliver. How do you make it fascinating and memorable? We’ve all been there. You have to deliver content but you are afraid that it’s bit boring. Your team is supportive but you wish you had some way to make the presentation more engaging. More memorable. Our session will give you the tools to make it happen. The Trump Administration is pushing through a proposal to open the pristine Arctic National Wildlife Refuge to oil and gas drilling, and we can’t stop it without your help. 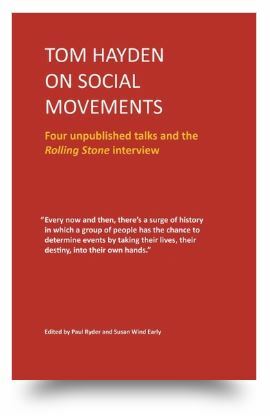 Tom Hayden on Social Movements consists of four unpublished talks and the Rolling Stone interview, all from 1972 – 1977. Susan Wind Early and I decided to make these talks generally available because we see many signs of an embryonic social movement in this country. In the book, Tom Hayden shows what social movements look like from the inside. He spells out why they are intense, complex, exhilarating – and powerful enough to make history. The book is now available in print and Kindle versions from Amazon. Free ebook versions are available from many other retailers in the United States and around the world. We’re at a critical moment in our campaign to stop the Phillips 66 tar sands oil refinery expansion in California— and my community needs your help. Tens of thousands of people have already spoken out against this dangerous tar sands project. Will you add your voice? STAND AGAINST TAR SANDS Thank you for standing with me and my community. Together we will build a better world. It's now only 8 months until the federal election. Once again, Canadians are fearing another unaccountable, false majority government. Already there are calls to plug our noses and vote strategically - and the certainty that for millions of Canadians, our ballots will elect no-one. When Trudeau broke his promise to make every vote count, he denied Canadians a reform that would have transformed this election and our whole democracy for the better. This year, with your support, we'll be running a strong campaign to elect MPs who will champion proportional representation as a top priority and make PR a condition of supporting a minority government. These recommendations are at the heart of our 2019 election strategy. Now we need more input from you on the path ahead. We'd like to know if you support Fair Vote Canada advocating for a National Citizens' Assembly on Electoral Reform. We'd like to know if you think we should take a position that truth in advertising standards should apply to political advertising.